It’s high and lows and this week’s comics releases! The Bat-family is going to have a bad week, but at least the Rocketeer returns. Superman goes insane, but it’s Adventure Time! And Hawkeye… well, new Hawkeye comics make everything better. And here’s everything the comics industry has in store for you this week. As you may have heard, Batman Inc. #8 comes out this week, in which [REDACTED] dies (hey, if you’ve somehow managed to not be spoiled this long, far be it from me to stop you now). The war of Atlantis finally comes to a close in Geoff Johns’ Aquaman #17, and the second issue of the surprisingly intriguing comic tie-in to the upcoming Injustice: Gods Among Us video game arrives (if you missed the first one, let’s just say Superman is in a very bad mood). Also, there are issue #17s of All-Star Western, Flash, Justice League Dark, Teen Titans, Batman: The Dark Night, and then The Unwritten #46. 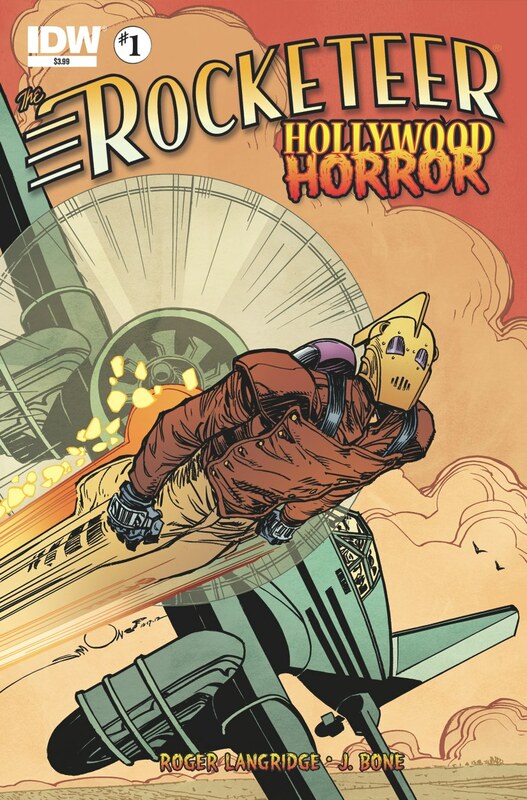 IDW launches a new Rocketeer miniseries with The Rocketeer: Hollywood Horror, in which our jet-packed hero takes on the “Church of Cosmicism.” Subtle! Meanwhile, the 11th Doctor tinkers with the TARDIS in Doctor Who Vol. 3 #6, and the Second Doctor gets the spotlight in Prisoners of Time #2. Also look for Star Trek: The Next Generation Hive #4 and Transformers: Robots in Disguise #14. Dark Horse releases Brian Wood’s post-apocalyptic political thriller The Massive #9, and #3 of Dennis (Battlepug) Hopeless’ The Answer, as the punctuation hero has to rescue a librarian from insane asylum orderlies (not inmates, for the record). Two Star Wars comics hit the shelves –- Agent of the Empire #5 and Dawn of the Jedi #3 — along with Angel and Faith #19. Image’s second Carbon Grey miniseries comes to a close in #3, Artifacts #25 pits Witchblade against the Darkness with the universe at stake, and Uncanny Skullkickers relaunches with a new #1. Also coming out this week: Five Weapons #1, Prophet #34, Hack/Slash #24, and the MacGyver comic miniseries conclusion. Marvel launches Guardians of the Galaxy #0.1, showcasing the origin of Star-Lord, in preparation for the real GotG #1 next month. Matt Fraction’s insanely fabulous Hawkeye continues in #8, where Hawkeye gets distracted by a pretty lady with a gun, like ya do. Northstar returns from his honeymoon to trouble in Astonishing X-Men #59, and the Superior Spider-Man tangles with the Future Foundation in The Avenging Spider-Man #17. Deadpool shoots literature in Deadpool Killustrated #2, and the Avengers must keep Red Skull and his S-Men from conquering NYC in The Uncanny Avengers #4. Also, look for FF #4, Uncanny X-Men #2, Uncanny X-Force #2, X-Treme X-Men #11, Young Avengers #2, Thunderbolts #5, Ultimate Spider-Man #11 and more. DC releases the second New 52 Catwoman trade, titled Dollhouse, and a few reissues. Dark Horse has KISS Greatest Hits Vol. 3, while IDW has Alpha Girl Vol. 1, in which a cosmetics company accidentally starts the “vaginapocalypse” (their word, not mine), and the first trade of the epic fantasy Ravine. Marvel’s a bit busier with the first X-Treme X-Men trade, titled Professor X Must Die! And that’s alongside Astonishing X-Men Vol. 10, Marvel Noir: Wolverine and the X-Men, Marvel Masterworks: Captain Marvel Vol. 1, and Brian Michael Bendis’ New Avengers Vol. 5. 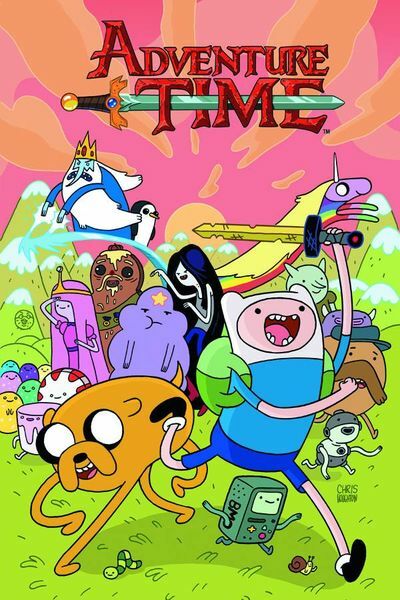 The real trade paperwork coup of the week will be Boom Studios’ shockingly great second Adventure Time trade, which is at least as good as the cartoon. But also look out for Jim Henson’s The Dark Crystal Vol. 2: Creation Myths, the third Kitchen Princess omnibus, the first three volumes of George O’Connor’s Olympians comics. As usual, here’s the list of everything being released to comic stores tomorrow, and you can find your nearest comic retailer here.